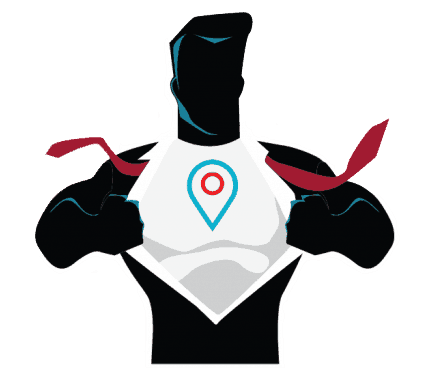 We guarantee “first page” placement on Google Local Listing (map) for your zip code area local search results or you don’t pay. It’s in writing! This includes search terms of your choosing. We will also provide real examples of this that you can check on your own phone or computer. There are some who say nobody can offer “first page” placement guarantee on Google search results. First, let’s just visit the idea of “no first page placement”. For a local business owner who is trying to do small business marketing, what is the point of marketing online if your business is not going to be found on the first page of search results? It’s the plumber, spa, attorney, etc. that shows on the 1st page of the search results that gets the calls and visits. Less than 7% of people ever go to the 2nd page of search results. Second, “first page placement” CAN be accomplished! That being said, there are two success factors. First, only highly skilled Search Marketers with high level SEO skills can accomplish this. Basic Search Engine Marketing skills one learns in an online course will not be good enough to beat out the SEO’s your competitor hired. Most so-called SEO companies don’t have high level SEO’s and that’s why they won’t say they will get you on the 1st page of Google search results. Second, nobody can guarantee “everyone” first page placement, because there are a limited amount of first page results. So, no SEO company (not even Google) can offer first page placement to EVERYONE, but you can accomplish this for the one client if you’re good enough. We practice high level SEO & SEM. We also get you on the fist page of Google “organic” search results.